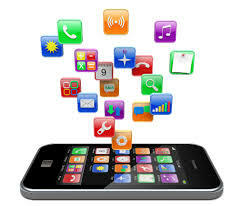 Now a days the demand for mobile application development is increasing. As it helps in finding up a new solution in different fields. It provides best features that are important for the business, which helps in attracting the customers.horizon helps enterprises design, build, deploy, and manage dynamic mobile applications. To communicate with the inherited mobile software we develop integrated mobile applications to meet up your business solutions. The mobile applications that we develop are innovative and utilize the absolute latest advancements in technology to create apps that are unique and user friendly.